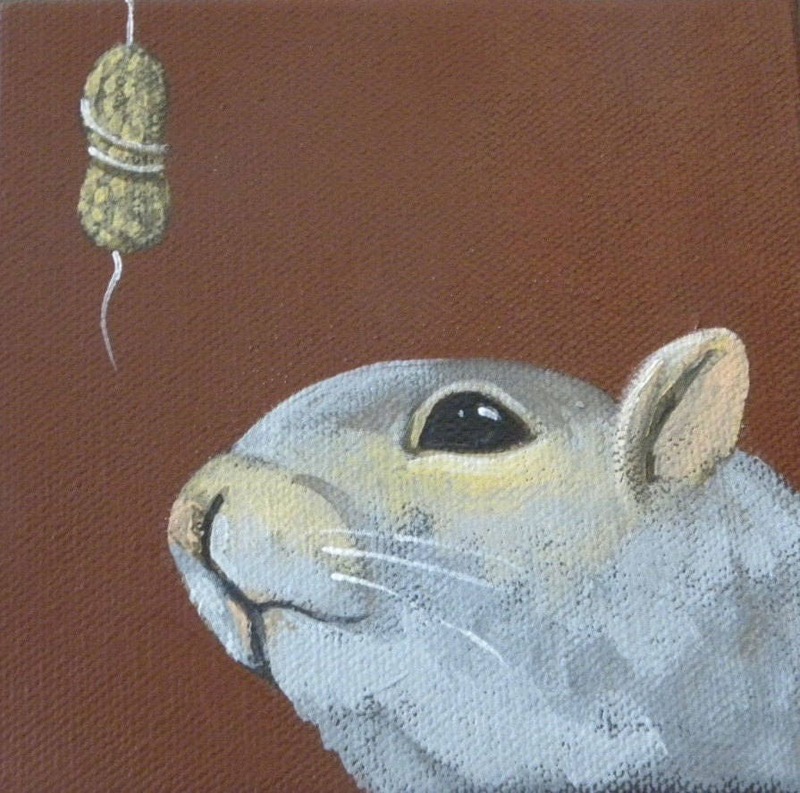 This little squirrel is wishing upon a peanut. Hopefully he'll manifest a whole bag of them! This would make a sweet birthday or Thanksgiving card. Each card measures approx 4" x 5" and comes with a matching envelope in a cello sleeve. If you would like multiples of this image, please convo me for a special offer!